He's down, dawg! With American Idol being rebooted by ABC, ET caught up with original judge Randy Jackson to get his take on the new version of his hit show. "I'm happy for it," Jackson told ET's Denny Directo at the launch of PRIVÉ REVAUX Luxury Sunglasses on Thursday. "Listen, it's a great show. I think it's still the best of its kind ever, so I'm really happy, you know what I mean? It's a great, great show. I'm sure it's gonna be fun." In fact, Jackson told ET that he's already been approached about being a part of the reboot, but not in the way you'd think. Simon Cowell, Paula Abdul and Randy Jackson at 'The Teen Choice Awards 2002' at the Universal Amphitheatre in Los Angeles, Ca. Sunday, August 4, 2002. Photo by Kevin Winter/Getty Images/FOX. American Idol Judges Simon Cowell, Paula Abdul and Randy Jackson on stage at the 2002 MTV Video Music Awards at Radio City Music Hall in New York City, August 29, 2002. Photo by Scott Gries/ImageDirect. "They wanted me to take Ryan Seacrest's job, because they said 'Look man, look, you got it. You know how to do it, dog,'" he said of the competition's former host. "I would only host with Ryan. He's my friend. You know let's see -- Kelly and Ryan, Ryan and Randy. Oh man. It's gonna work man. I feel it!" As for the show's only confirmed judge, Katy Perry, Jackson has nothing but high hopes for the pop star. "Katy's great. Love her. She guest-judged with us one season, me and Simon [Cowell]. Love her, I'm a fan, I'm a friend," he said of the "Firework" singer. "She's dope. She's talented." 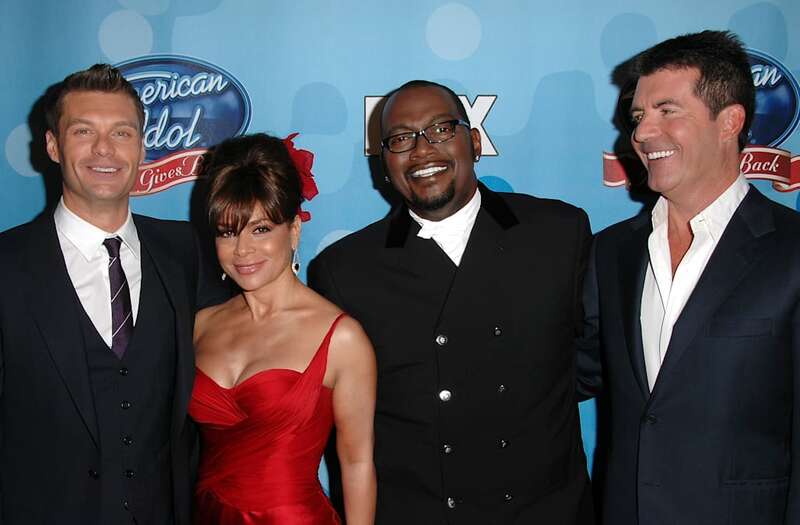 Besides Perry, Jackson had only two words when it came to additional judge recommendations: "Simon Cowell." For more on the American Idol reboot, watch the clip below!